Focus: To learn and understand how Twitter works, how to create content and acquire followers that are your ideal clients. In this lesson you're going to learn how to naturally gain Twitter followers and then we'll talk about how to artificially speed that process up. If your clients are using Twitter, then you need to be using Twitter too. Twitter is the only true "social" network where conversations happen quickly and you need to be a part of them to get new clients. Twitter is one of the only true "social" networks in that the newsfeed is so fast paced and conversational, it's very much like a real time social situation. Imagine you're at a party, in a crowded room full of guests. You have something to say so you simply stand there in the corner, by yourself and shout "GET HUGE DISCOUNTS ON PERSONAL TRAINING SESSIONS!" Everyone is going to look around, think you're a bit of a self absorbed nutter and probably avoid you for the rest of the night. Now let's imagine you've been INVITED to join a conversation about fitness and you give the people within that conversation loads of great advice. Who do you think those people would rather work with? Crazy you shouting about dicounts from the corner, or the more involved and giving you who provided value and contributed to the conversation. It's a no brainer, right? So when we increase our number of Twitter followers, we're increasing the number of people at the party and increasing the number of conversations you can contribute to. When most people get followed, they do what YOU would do when you get a new follower. Check out their profile to see if you should follow them back. So your profile profile should be complete, with an avatar that shows your face and a solid bio. It's important that people know who you are and what you're interested in. The simplest and most personal profile photo is a photograph of your face looking straight into the lens. Avoid funny angles or having anything else in the photo. Crop it into a square, but don't shrink it down. You want people to be able to click on it and see the larger version. The next step is getting Twitter followers. There are a couple of issues with this process. One is that you'll eventually end up following a lot of people and not a lot of those people will follow you back, which can look a bit spammy. And the other is that it's painfully slow. So we're going to talk about using software to artificially speed up a natural process. Statusbrew.com is a Twitter and Instagram tracking tool that enables you follow Twitter accounts based on Keywords, number of followers and even identify who is following your competitors. ​There’s a free version but for the purposes of this How To Guide you’re going to need a paid account. It’s pretty straight forward so I won’t go in to detail. Disclaimer: We don’t affiliate with Statusbrew.com nor ANY other third party software so rest assured our recommendations are 100% genuine. Be sure to add your Twitter account to the paid version to unlock any limits. There are some pretty advanced features in the app but the easiest way to find new followers is to use the Copy Followers/Following link on the left of the display. 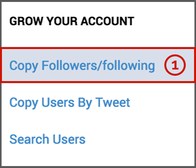 This feature allows you to copy the followers from another account. This account can be your competitor, someone in the fitness industry that may have the same audience type as you or even a friends account. 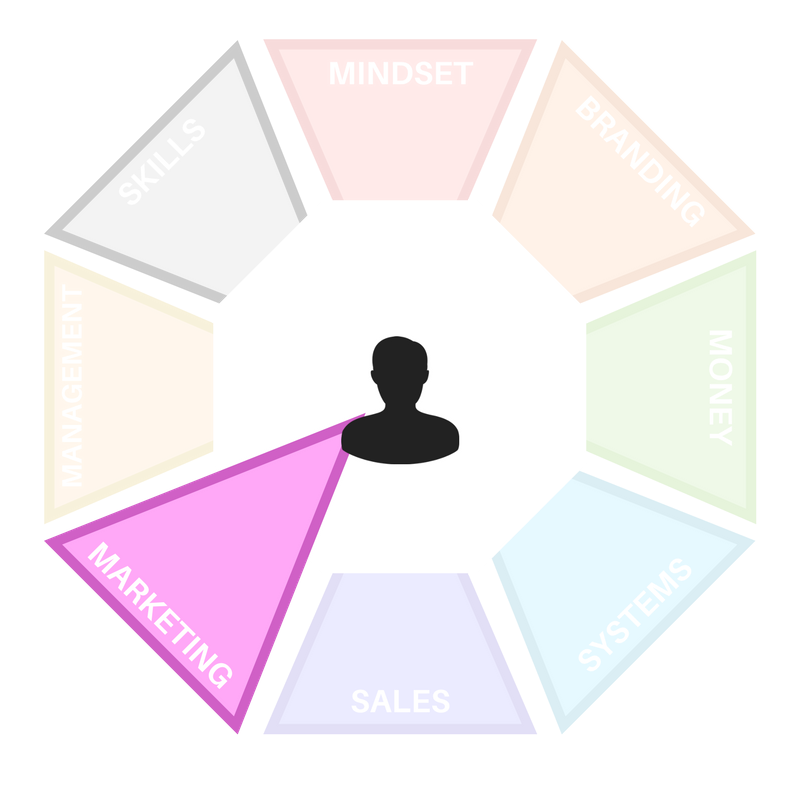 Be sure to do a bit of background research on your ideal clients because this will save you loads of time and effort. ​Next, fill in the username of the account you wish to view. Now can either choose to copy his followers or those he is following. Then hit ‘Go’ and you’ll see a list of all the users who follow your target or who your target is following. To get followers as fast as possible click Follow until you reach your hourly limit. If you run out of followers from an account, enter a new account and continue. Of course, you’re going to end up following HUNDREDS of not THOUSANDS of accounts which, if we’re being honest, looks a bit desperate. Now you've unfollowed all of the people who did not follow you back after 5 days. ​Let’s face it, if someone hasn’t followed you back in 5 days, they’re either not interested or they’re relatively inactive on Twitter. Both of which aren’t going to be good for your business. Now that you’re getting a steady stream of new followers you need to join in on their conversations and provide them with awesome content. If you don’t then you’ll lose fans and potential leads! You also have NO excuses to produce great content. You have content ideas from every single one of your competitors right at your fingertips. ​​Pro Tip: Use the 80:20 rule. 80% awesome, useful, funny, informative content and 20% promotional materials. ARE THERE LIMITS TO HOW MANY PEOPLE I CAN FOLLOW? IS IT AGAINST TWITTER RULES TO USE A THIRD PARTY APP TO FOLLOW/UNFOLLOW USERS? It is not. Twitter allows certain types of application access to their API integrations so that businesses can more easily manage followers, mentions and tweets.